Kathleen® Natural, a British brand offering effective organic and research-based products, is excited to announce the launch of our luxurious body care range. This delicate range is designed in three collections to cover every mood. Made with only the purest natural ingredients and scented with pure essential oils that will deliver our luxurious fragrance. Why not choose your mood? (1) Kick start the day with Citrus Cheer Duo. 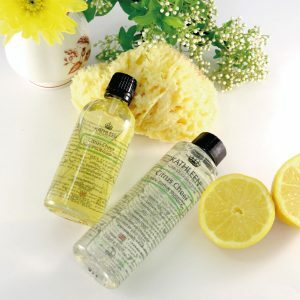 Inhale clarity with the zest of lemon, spiked with a warm rosewood scent, to bring a vibrant, cheerful quality. The floral geranium enhances the feeling of intense citrus brightness. You will instantly feel uplifted and awakened as your senses are renewed. For a morning shower, apply a liberal amount on a sponge, massage into a lather, and rinse clean. Envelope the skin with the light scent of lemon, rosewood, and geranium to awaken your body and mind. 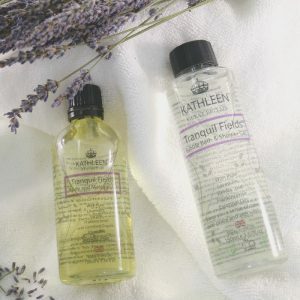 As a bubble bath gel, it transforms into a hand-drawn lather that cleanses, hydrates and balances the skin. Aqua, Sodium Coco-sulfate*, Aloe Barbadensis Leaf Juice*, Glycerin*, Caprylyl/Capryl Glucoside*, Cocamidopropyl Betaine*, Decyl Glucoside*, Citrus Limon Peel (Lemon) Oil**, Aniba Rosodora wood (Rosewood) Oil**, Pelargonium Graveolens (Geranium) Flower Oil**, Citric Acid*, Levulinic Acid*, Lauryl Glucoside*, Coco Glucoside*, Glyceryl Oleate*, Sodium Levulinate*, Sodium Phytate*, Sodium Benzoate, Linalool**, Benzyl Benzoate**, Limonene**, Citral**, Geraniol**, Citronellol**. Prunus Amygdalus Dulcis (Sweet Almond) Oil*, Helianthus Annuus (Sunflower) Seed Oil*, Argania Spinosa (Argan) Kernel Oil*, Rosa Canina (Rosehip) Fruit Oil*, Tocopherol (Vitamin E)***, Citrus Limon Peel (Lemon) Oil**, Aniba Rosodora Wood (Rosewood) Oil**, Pelargonium Graveolens (Geranium) Flower Oil**, Linalool**, Benzyl Benzoate**, Limonene**, Citral**, Geraniol**, Citronellol**. Breathe the fields of purple lavender weaving in strings of soft, spicy vanilla, and peacefully rest under the sweet and woody frankincense fragrance. The aroma brings you a sense of calm and inner peace and aids relaxation. As a bubble bath gel, it transforms into a hand-drawn lather that cleanses, hydrates and balances the skin, and lets the mind relax into the beautiful scent of lavender, frankincense and vanilla. For a morning shower, it cleanses and softens the skin without drying it out, because it is rich in moisturizing aloe vera and a blend of plant-derived cleansing and bubble agents that nurture the skin every day. Aqua, Sodium Coco-sulfate*, Aloe Barbadensis Leaf Juice*, Glycerin*, Caprylyl/Capryl Glucoside*, Cocamidopropyl Betaine*, Decyl Glucoside*, Lavandula Angustifolia Herb oil**, Boswellia Serrata (Frankincense) Oil**, Vanilla Planifolia Fruit Extract**, Citric Acid*, Levulinic acid*, Lauryl Glucoside*, Coco Glucoside*, Glyceryl Oleate*, Sodium Levulinate*, Sodium Phytate*, Sodium Benzoate, Linalool**, Limonene**, Coumarin**, Geraniol**. Leave the body incredibly hydrated, softer, and smoother with a non-greasy residue, bringing you a sense of calm and inner peace to aids relaxation. Prunus Amygdalus Dulcis (Sweet Almond) Oil*, Helianthus Annuus (Sunflower) Seed Oil*, Argania Spinosa (Argan) Kernel Oil*, Rosa Canina (Rosehip) Fruit Oil*, Tocopherol (Vitamin E)***, Lavandula Angustifolia Herb oil**, Boswellia Serrata (Frankincense) Oil**, Vanilla Planifolia Fruit Extract**, Linalool**, Limonene**, Coumarin**, Geraniol**. (3) Indulge the mind and body using this Sensual Rose. Open to the sensuality of daring roses blended with lusciously refreshing vivid orange layered with an unexpected, champagne-like, earthy nutmeg. This sensual and euphoric aroma boosts the senses and enhances feelings of joy, romance, and positivity. It will stir desire and give a sense of passion. 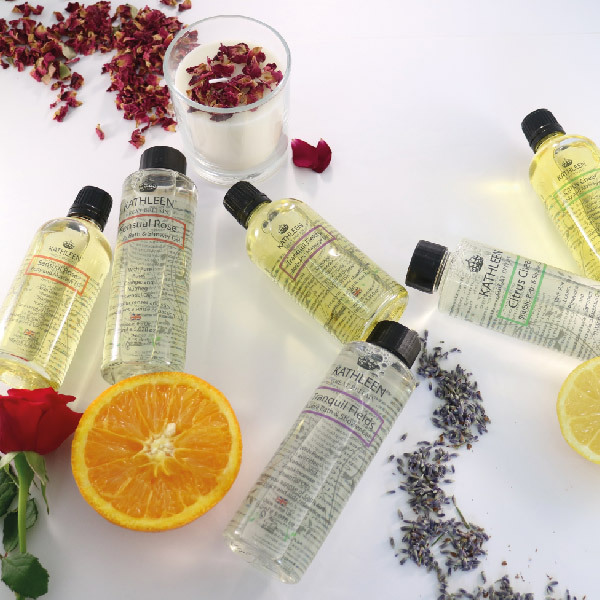 As a bubble bath gel, it transforms into a hand-drawn lather that cleanses, hydrates and balances the skin. Your skin will be enveloped in the light scent of rose, orange, and nutmeg, providing the feelings of joy, romance and positivity. Aqua, Sodium Coco-sulfate*, Aloe Barbadensis Leaf Juice*, Glycerin*, Caprylyl/Capryl Glucoside*, Cocamidopropyl Betaine*, Decyl Glucoside*, Rose Damascena Flower Oil**, Citrus Sinensis Peel (Orange Sweet ) Oil**, Myristica Fragrans Kernel (Nutmeg) oil**, Citric Acid*, Levulinic Acid*, Lauryl Glucoside*, Coco Glucoside*, Glyceryl Oleate*, Sodium Levulinate*, Sodium Phytate*, Sodium Benzoate, Linalool**, Limonene**, Citral**, Eugenol**, Geraniol**, Citronellol**. Apply a few drops into the palm of your hand, inhale the wonderful scents and massage into wet skin immediately after a bath or shower, then gently pat dry with a towel. Leave the body incredibly hydrated, softer, and smoother with a non-greasy residue, providing a sensual aroma that boosts your senses. It will stir your desire and give a sense of passion. Prunus Amygdalus Dulcis (Sweet Almond) Oil*, Helianthus Annuus (Sunflower) Seed Oil*, Argania Spinosa (Argan) Kernel Oil*, Rosa Canina (Rosehip) Fruit Oil*, Tocopherol (Vitamin E)***, Rose Damascena Flower Oil**, Citrus Sinensis Peel (Orange Sweet ) Oil**, Myristica Fragrans Kernel (Nutmeg) oil**, Linalool**, Limonene**, Citral**, Eugenol**, Geraniol**, Citronellol**. 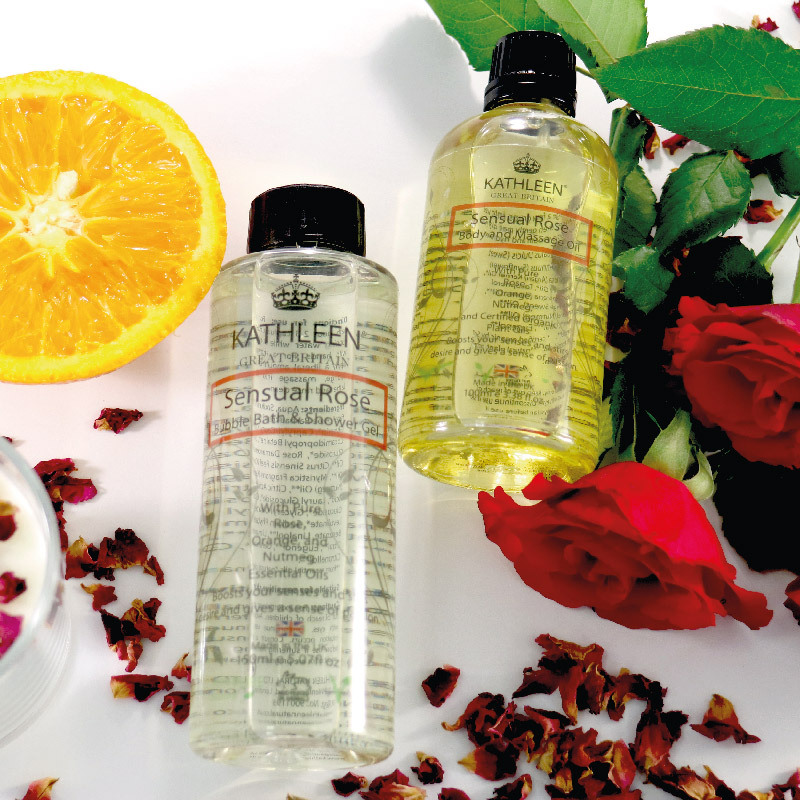 Indulge your body, mind and soul with Kathleen Natural’s luxurious body care range!